Coach Johnny Parker – NFL and NCAA Strength Coach / His Knowledge, Character, and Humility not only led to 3 Super Bowl Championships, but also positively impacted so many on and off the field. Coach Johnny Parker is not only one of the best Strength and Conditioning Coaches in the World, but also one of the most humble coaches in all of sports. He helped his teams win 3 Super Bowl Championships on the field, but he made an even greater impact off the field with his players. After graduating the University of Mississippi, Coach Johnny Parker started his journey in coaching at Indianola Academy. 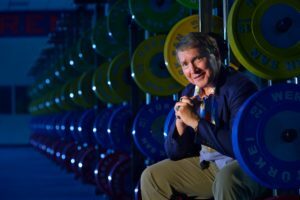 He coached 10 years at the NCAA level, where he became the first Strength and Conditioning Coach in the Big 10 under Coach Lee Corso and Coach Bobby Knight. His time at the Collegiate Level included South Carolina, LSU, and his alma mater, University of Mississippi. He worked in the NFL for 21 years, and helped the New York Football Giants win Super Bowls in 1986 and 1990 under Coach Bill Parcells. He then coached with the New England Patriots, followed by helping the Tampa Bay Buccaneers win their first Super Bowl in 2003, and then to the San Francisco 49ers. In the episode, we talk about a life changing moment while coaching basketball that set the foundation for his coaching career. Coach Parker discusses his time at the Collegiate Level, including working with Coach Corso and Coach Knight at Indiana University. He then speaks about his time with the New York Football Giants, and shares insight into the the characteristics of the coaches and players that made those teams so successful. 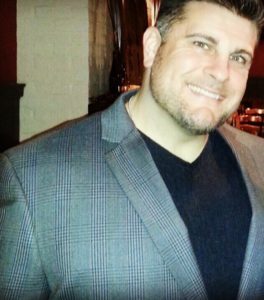 We also discuss how trips to Russia and Staten Island, NY, made him a better strength coach for his players. 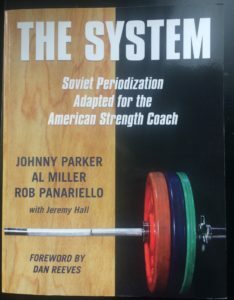 As a way of giving back, Coach Parker, along with Coach Al Miller, Rob Panariello, and Jeremy Hall authored the book called “The System: Soviet Periodization Adapted for the American Strength Coach.” This is a book that contains decades of knowledge with a common sense approach to strength and conditioning. In the episode, he speaks about what the “Eye of the Coach” means, and how this perspective of focus and detail can help anyone looking to become better, as well as help their players improve on and off the field. He discusses the role of mentors, and speaks about three coaches that made a tremendous impact on his career: Alvin Roy, Louis Riecke, and Clyde Emrich. In turn, Coach Parker has become a mentor to so many many coaches and players. 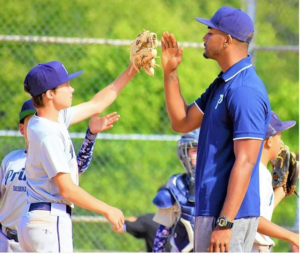 Visit us at Foundations of Sports for further information on what we do and our mission of providing positive sports stories and the people in sports that win championships on and off the field through character, hard work, and humility. Thank you to our listeners for your support during Season # 1 of the Foundations of Sports Podcast. We are grateful for your support, and we are looking forward to the upcoming season. We want to say thanks to all of our guests in Season # 1, who believed in our gamelan of positivity and character in sports, and who provided great insight, knowledge, and stories for anyone looking to get better. In the upcoming season, our first episode is with Coach Johnny Parker, not only one of the best strength and conditioning coaches in the world, but one of the most humble coaches in all of sports. In the upcoming interviews, we find out how you can win championships on and, more importantly, off the field, through character, hard work, and humility. We look at what it means to be a team, and what it means to help others through sports. Looking forward to a great season ahead, thank you for listening. There are some people who leave a legacy forever. 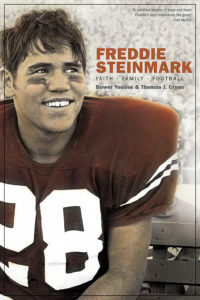 Freddie Steinmark was part of the University of Texas Football team that won the 1969 National Championship game. Freddie’s play on the field was defined by leadership, hard work, and playing for his teammates. 6 days after that game, Freddie’s leg was amputated, and his battle with cancer had begun. Bower Yousse, high school teammate, and childhood and family friend of Freddie, joins us for this episode to discuss Freddie’s life, and the impact he had on so many. He talks about how Freddie conducted himself at school, as well as on and off the field, with class and dignity. He was one of the Captains of the team and set an example by his actions. He takes us through Freddie’s journey from his love and caring of his family, to his high school football games, to being recruited by University of Texas after Coach Royal saw only 13.3 seconds of tape, to his National Championship run, to his diagnosis and battle that he took head on with toughness and courage. If you like the episode, please share with a family member or friend, and leave us a rating and review on the Apple Podcast app. 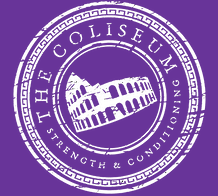 Mike Rozzi is a Strength and Performance Coach with Coliseum Strength and Conditioning. 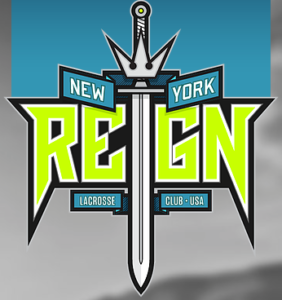 He coached at the collegiate level at UCONN and Coastal Carolina, played college football at SUNY-Cortland, and Arena football with the New Jersey Revolution. 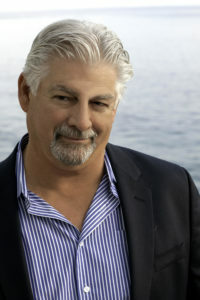 From the start of the episode, Mike brings a positive energy that carries over to his work. He speaks about commitment to the process to go along with hard work, as well helping others along their journey. 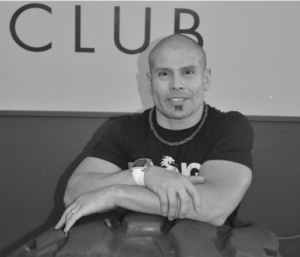 As a strength coach, Mike gets to positively impact others, and tells us how rewarding it is to “see the looks on their faces” when they reach their goal. He provides an in-depth and common sense definition of the words “coach” and “coaching,” as well as what type of mindset is required to accomplish any sports or life goal. 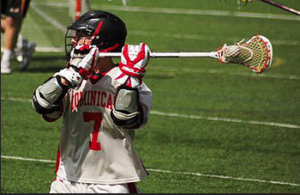 He also discusses the importance of resiliency, the impact of his Grandfather and his family on his life, and how sports can teach the positive character traits of teamwork, work ethic, and stick-to-itiveness. Blake Brewer founded Prime All American Baseball, a travel baseball program based in Southern California. They use the core values of hard work and family to help players not only become better on the baseball diamond, but also off the field. We discuss Blake’s time playing with the Miami Marlins organization, and how that has impacted the program in a positive way. He and his coaches stress the importance of acting like a professional, and being a good teammate. Blake also speaks about the many lessons learned in baseball that can be applied to all aspects of life. Jonathan Freedman is the founder of the Team Gino Bartali, where their mission is to keep Gino’s legacy alive through helping others. 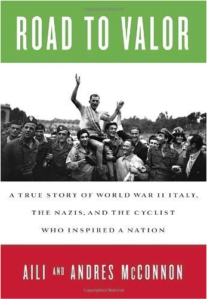 Gino was a cyclist from Italy who won both the 1938 and 1948 Tour de France, but much more importantly, was part of a team that saved many Jewish people during the Holocaust. His actions of courage and bravery provided the necessary documents, shelter, and food to help bring many to safety. 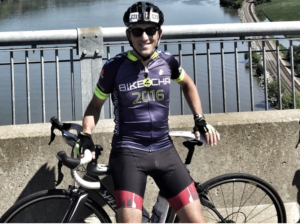 Jonathan’s team keeps the same strength and courage through charity cycling rides to help others, as well as retracing Gino’s path on a bike in Italy with the Israeli National Cycling Team. His articles on Linkedin provide great insight to cycling, and there are lessons in his writing that any sports coach, player, or fan can use to be a better teammate. Ray Traitz is the creator of AMRAP CrossFit, where he coaches and trains through work ethic, mindset, and positivity. From the second you walk into his training facility, you can see that Ray cares about each of his athletes. “Get uncomfortable to see results.” Ray’s unyielding focus has made an impact on his athletes in their overall health and fitness level. As important, we speak about how his community at AMRAP Crossfit has put together many events to help various charitable causes. including Jawonio, Tackle Kids Cancer, and many military organizations. We discuss the one scrimmage while playing College Football at Kutztown University that set his foundation for hard work and achievement. All coaches and players in any sport can learn from Ray in this episode on how to take your training, mindset, and focus to the next level, all while having a positive impact on others. “Work hard, do something you love and what you are passionate about,” Ray Traitz.